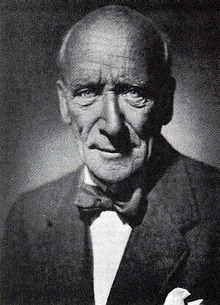 Algernon Blackwood, who died in 1951, wrote some of the best tales of supernatural horror that have ever been written. He is often compared to H. P. Lovecraft, who admired Blackwood’s stories; and paired with Arthur Machen, who wrote in the same genre at about the same time. Lovecraft, Machen, and Blackwood: an Unholy Three. But Blackwood tops the list for me! For Mockingbird, he is interesting because he was in lifelong, fascinated reaction to an evangelical background that was heavy on the Law. He brought this reaction into many of his stories. Blackwood had grown up Sandemanian, and was marked for life. He was almost never not religious, yet in an independent, original way. In this first podcast about Algernon Blackwood, my text is his 1914 story “The Damned”. It concerns an English country house that is haunted not by diabolists but by religious people steeped in the Law. Rather than threaten new inhabitants of the house, these people stunt them. Every guest to the great house seems to find himself oddly stultified, paralyzed from action and life. “The Damned” is a story which exists in a class by itself. I have never read anything like it. In this podcast a strange door is strangely closed. In the next cast, another door is opened. It is all about Eternity. Blackwood was irrepressibly religious. Although he had run from Sandemanianism, he spent much of his adult life in search of a religious philosophy. He turned out to be one of the few authors who has ever tried to describe visually the death of the ego, the death of the personality-self. He knew that life, in order to endure, had to involve this death of the ego, and hopefully now, this side of physical death, rather than later. In two of his tales, he portrayed the deaths of two men in life, characters who “shed” their defensive selves in favor of something intangible but also beating. 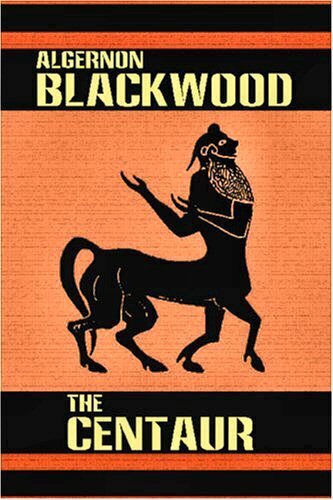 Podcast 103 quotes from Blackwood’s 1911 novella “The Centaur” and his 1914 short story “A Descent into Egypt”. In “The Centaur” the hero travels from London to Ossetia in search of himself, only to return to London and find the same (emancipated) person right there at home. It’s a long way to go. In “A Descent into Egypt” George Isley leaves his body, completely, and for the duration; but his body continues to look, talk, and act like a refined English gentleman. This story concerns death-in-life and how it might really look. I think it is one of the most unusual and ambitious short stories of its type. What happens when we die? How would it happen to us in life? What would it look like to be both mortuus et vivus? (But not be a zombie!) It touches on the appearance of Christ’s body after the resurrection. Why was he not recognized by his disciples, at least at first, beginning with Mary Magdalene? Podcast 103 is for Eastertide, by way of an odd and inspired lapsed Sandemanian.